Jasprit Bumrah once again proved why he has emerged as the world's most spectacular bowler in limited overs cricket. 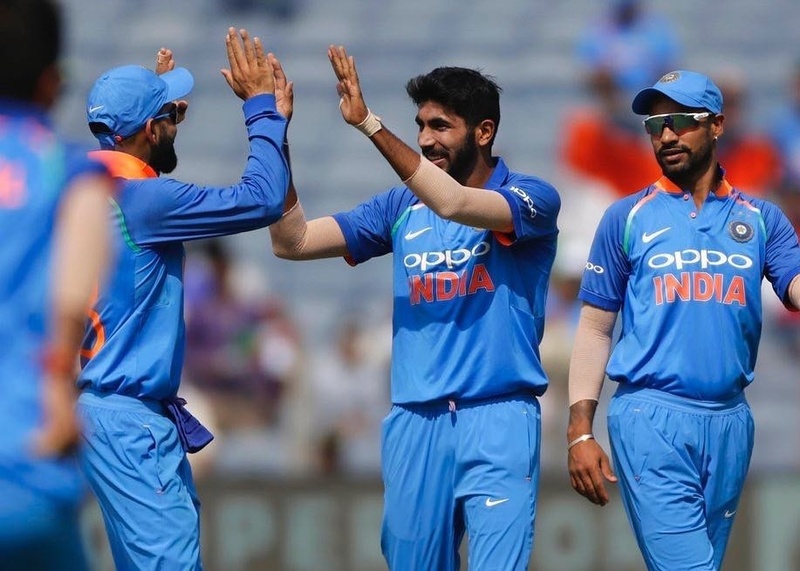 After being resting in the first two matches against West Indies, Bumrah made a great comeback in the third match in Pune. However, fielder's also played a significant role in the performance of Bumrah. In this match, MS Dhoni and Rohit Sharma took two great catches of Bumrah's bowling. 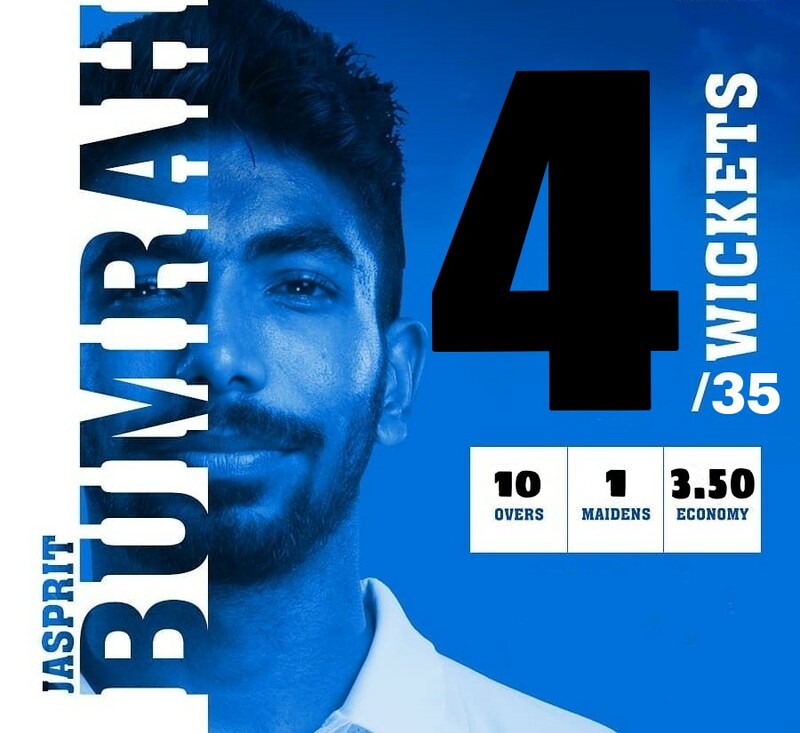 Jasprit Bumrah's 4/35 is the third best performance by an Indian bowler against the West Indies. While, the record of best figures against West Indies is with Sanjeev Sharma, he took 5 wickets forb26 runs in Sharjah in 1988. Veteran bowler Manoj Prabhakar is second in this list, he picked 4 wickets for 30 runs in the ODI match at Sharjah in 1991. This is followed by Jasprit Bumrah (4/35) who is placed at third place. 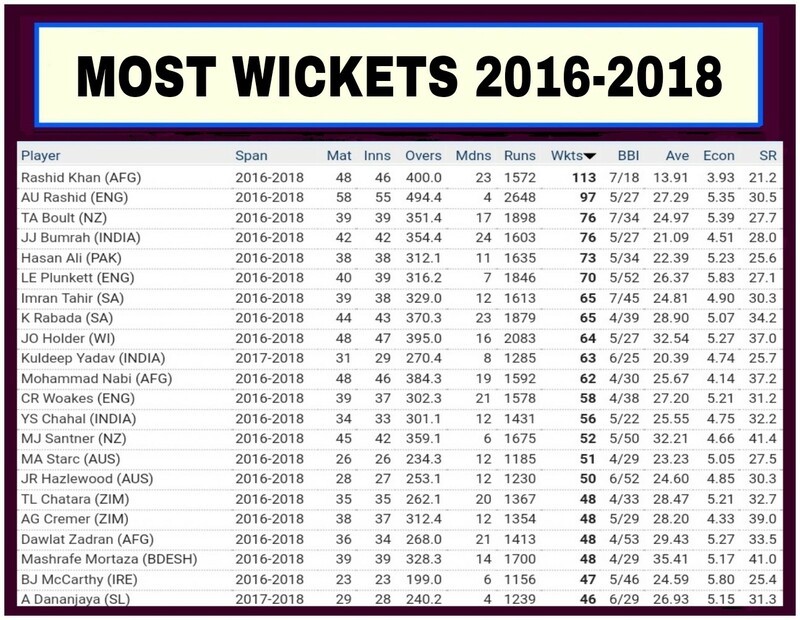 Bumrah has become the highest wicket taker in Asia since 2016 and he is the only fast bowler to pick more than 50 ODI wickets in Asia since 2016. 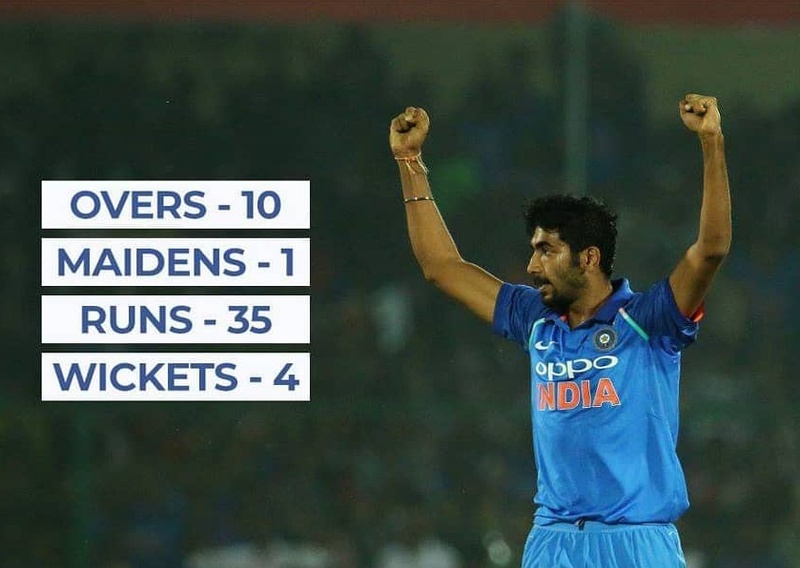 Apart from this, Jasprit Bumrah has reached number two in the case of taking most wickets in ODIs by fast bowler since 2016 along with Trent Boult. During this time he left Pakistan's Hasan Ali (73) and England's all-rounder Liam Plunkett (70) behind.